Perhaps my favorite moment was when I brought her an a different top to try – it was denim, with a sort of glitter sewn or embedded or somehow encased in the fabric. She looked at it, thought a minute, then shook her head No. “It’s not the right kind of sparkle,” she said. 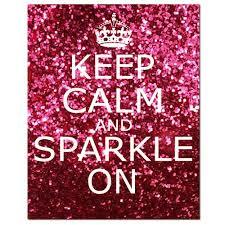 A girl who not only likes sparkle, but is discerning about what KIND of sparkle? Be still, my beating heart! Thankfully, I was not filled with longing to wear the clothes we saw; there was no urge to rush to other stores to find the grown up version of this store (and I’m sure it’s out there). But I’m glad these clothes exist, and that being a girl and dressing like a girl is really fun right now. What was your favorite era for fashion? This entry was posted in Stuff & Things on August 5, 2014 by Trish Ryan. The fashion trend that is coming back that I just can’t get behind is 10″ long zippers on girls jeans/shorts/whatever. Seriously? I think what puzzles me even more, is how quickly I’m going to start (have already started??) looking like “that old woman” who can’t get behind current fashion trends. Sigh.